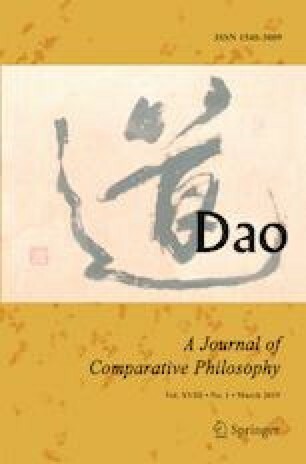 This article examines different ways agrarian thought has been interpreted and employed by ancient Chinese and early modern Japanese philosophers to criticize and attempt to limit the state’s power, and, in at least one case, to try to strengthen it. It analyzes the manner in which arguably the most fundamental human activities of farming, weaving, and governing have been conceptualized in a normative way, and the extent to which thinkers and statesmen in these East Asian historical contexts debated their correct interrelation. The state’s critics were deeply concerned about the tragic occurrence of death by starvation during their ages, and by the conditions that allowed it to happen. They identified and advocated certain ethical values and political measures they believed would mitigate and help prevent this avoidable circumstance. Conversely, the state’s supporters appropriated agrarian thinking to demonstrate how the sovereign’s control of the realm and its subjects could be significantly enhanced by strategically apportioning the land in a particular way. Lastly, both groups of thinkers sought unity, ethically or geopolitically (or both), but they conceived of this ideal in contrasting ways. I am grateful to Mary Evelyn Tucker for encouraging me to pursue and develop my research on the subject of this study, in response to the ideas and analysis I presented in a paper at a conference we both attended titled, “Spiritual Values and the Physical World: A Comparative Exploration of China, Japan, and the West,” held at the Ohio State University in April 2015. I owe a debt of gratitude to Thomas P. Kasulis for inviting me to participate on a panel at the 11th East-West Philosophers’ Conference, held at the University of Hawaii in May 2016, and for reading an earlier draft of this article prepared for that conference. I also wish to thank Dao’s editor and the two anonymous reviewers for their helpful comments on this article.